Can you believe it’s almost Memorial Day? When all stores go into crazy “on-sale” mode and everybody wants to get out of town! I usually work this holiday, but not this year! No ma’am, not me! I am heading to the beach! The past few years of me living in the desert, I had the sizzliest Memorial days EVER! Yes -> Sizzliest. You know, when you faint from the heat and you can hear your skin fry as you try to make your way into the closest Sephora.. But not this year! I live in California now, so I’m ready for my surfing lessons!! 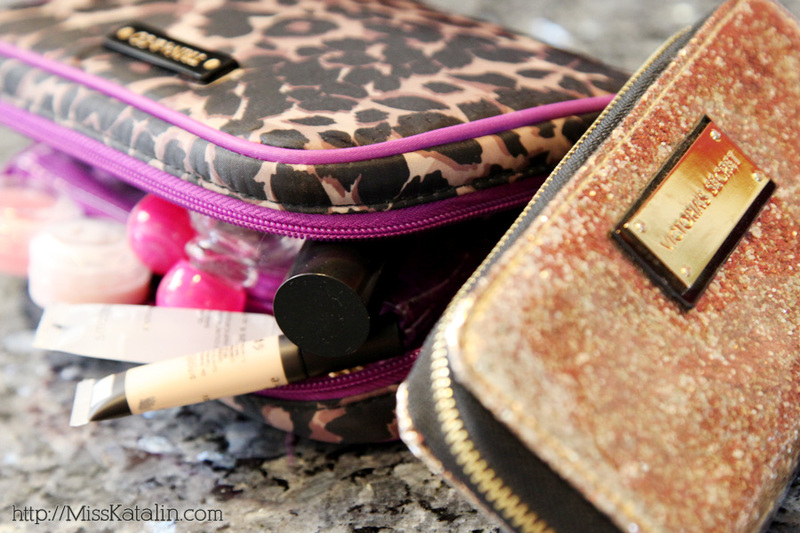 I’ll make everything fit into one fab travel makeup bag! It took me long days of hunting down to perfect travel bag. First have a plan of what you like in it, than you’ll know what you are actually looking for. Seriously, how many times did you buy an awesome, little pressed powder, blush or even eyeshadow and after the first time of you taking it out for a walk it ends up breaking into powder and messing up your precious shoulder bag?? Don’t you just hate that? But problems be gone! 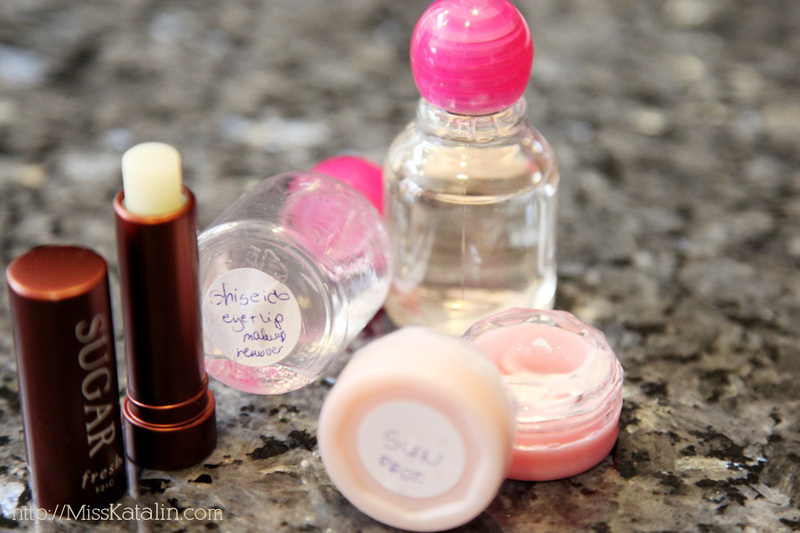 Bring a cream blush and eyeshadow instead! Apply it with your finger and leave the brush at home! 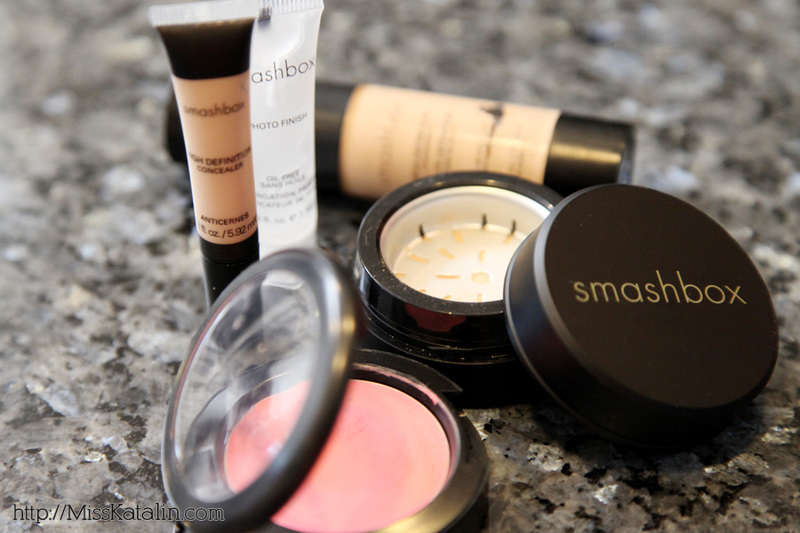 Also check out this fabulous Smashbox powder! Guaranteed travel proof! Twist out as much powder through the holes as you need! It’s a travel must! Not every product can be found in a portable size. So break some rules, pop open your tubes and fill in some tiny sized bottles. You really don’t need the full can of products anyway. Unless you are planning to leave town for a whole year.. 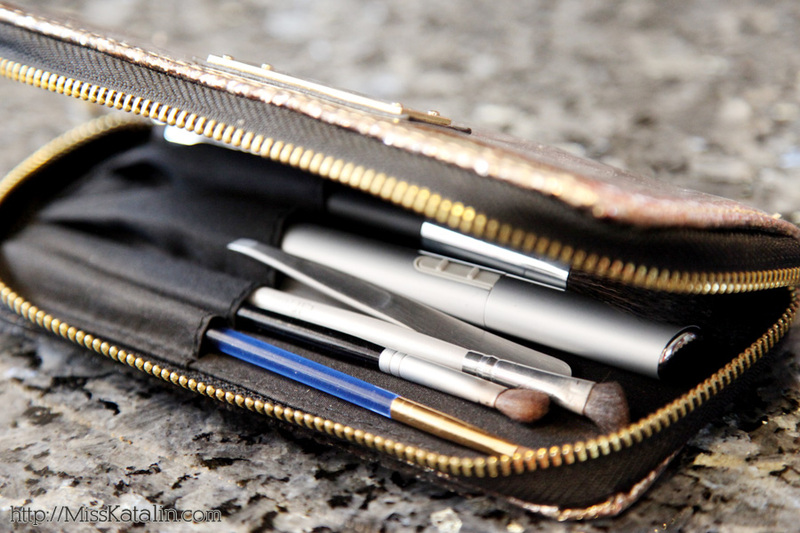 Break the rules > just because you have a brush kit, it doesn’t mean you can only put brushes in it! If you travel often, have duplicate brushes, tweezers etc, so you can skip this step while you’re going through your packing list. Keep it sweet, keep it flat! Hope this will help! Happy packing and have a great Memorial day!! Stay chic and fabulous! Hi Renata!! 🙂 Thanks for finding me here and writing me! Have an awesome Memorial Weekend as well! Are you planning to do some shopping or just going to relax?